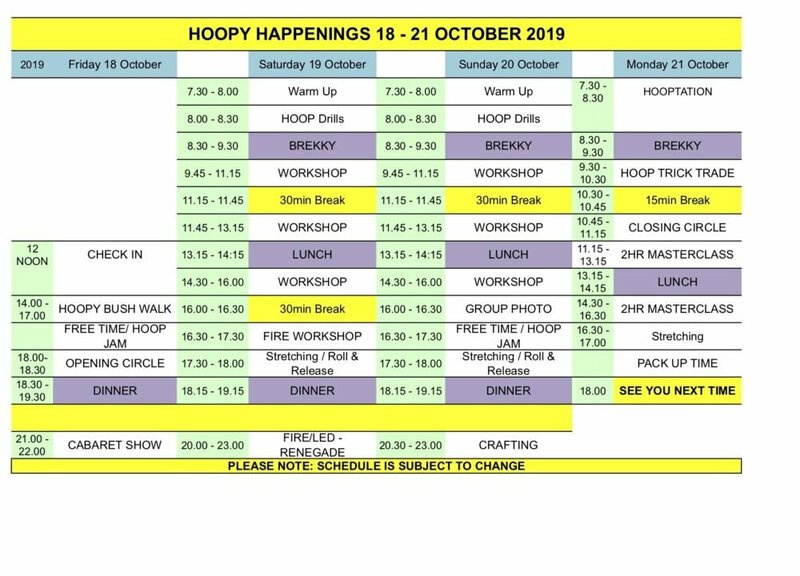 What to expect at Hoopy Happenings? Strongly recommend: Take the Friday and Monday off work. Hooping events can overload your body & your brain. You won’t get everything & you won’t remember everything. And not everything will be for you. Some hoop moves will come easy & some will hurt your brain. Everyone is different. That’s why we do recaps at the end of the workshops. So you can take them home for later. NOTE: These recaps are for your own personal use only. Please do not post anywhere, they are the intellectual property (IP) of the instructor. The confirmed schedule will be emailed closer to the event.